These majestic and very large Empire style porphyry vases are ideal pieces for a grand hall, entrance-way or stately room in a Classically-inspired home. 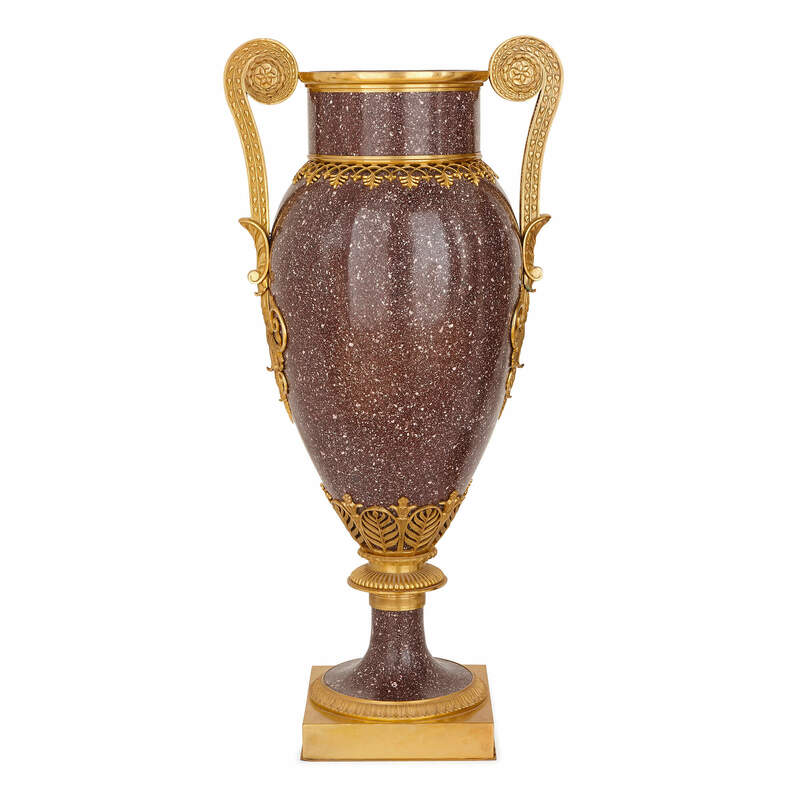 The flecked stone porphyry has been associated with nobility, royalty and power since the times of the Ancient Roman Empire, when the stone was discovered in Egypt. 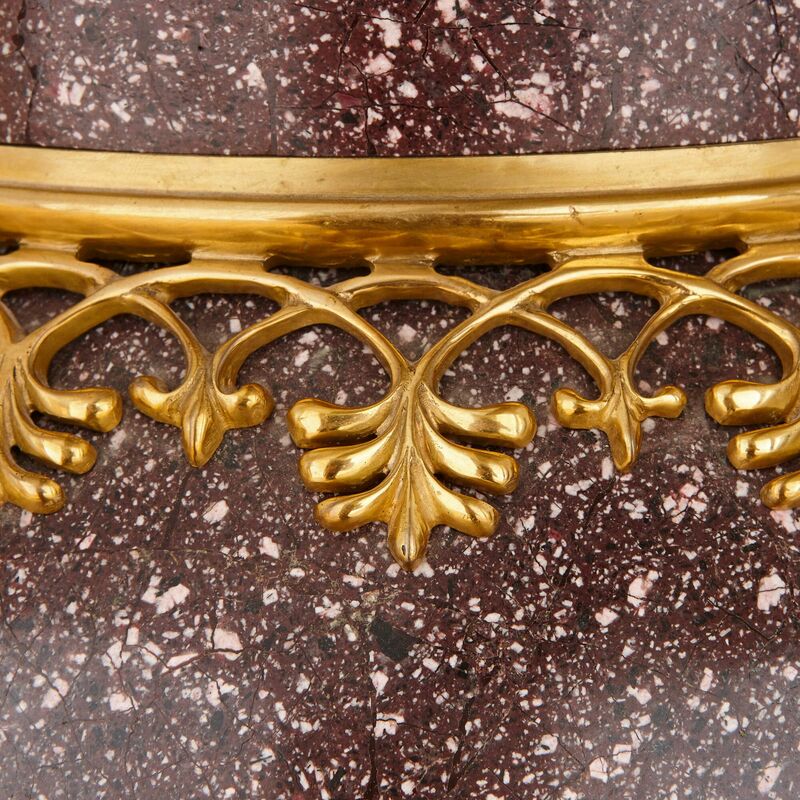 Ever since, porphyry has been associated with grandeur and luxury on account of its rarity and its natural rich purple colouring, together with its association with the Classical world of Ancient Rome. 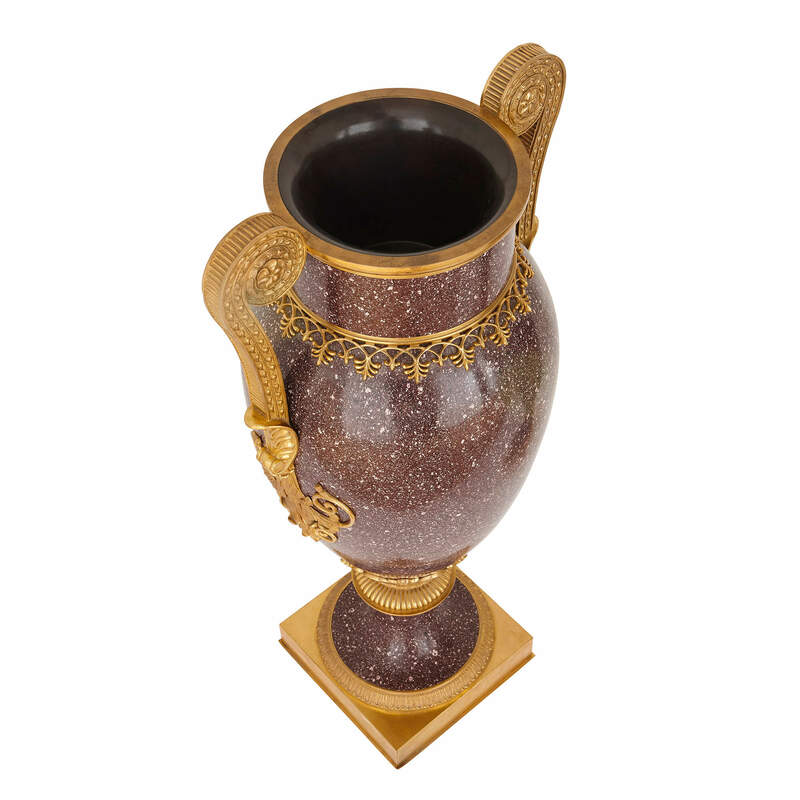 It is fitting, then, that these fantastic vases should take after Classical decorative art in their styling. 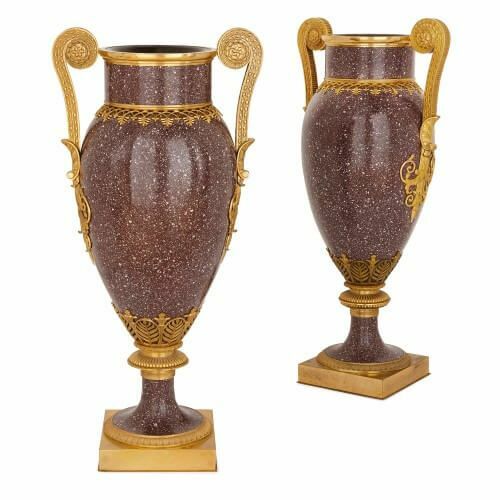 The ovoid shape and ormolu mounts in particular mark these vases out as impressive pieces of Neoclassical, Empire style design. 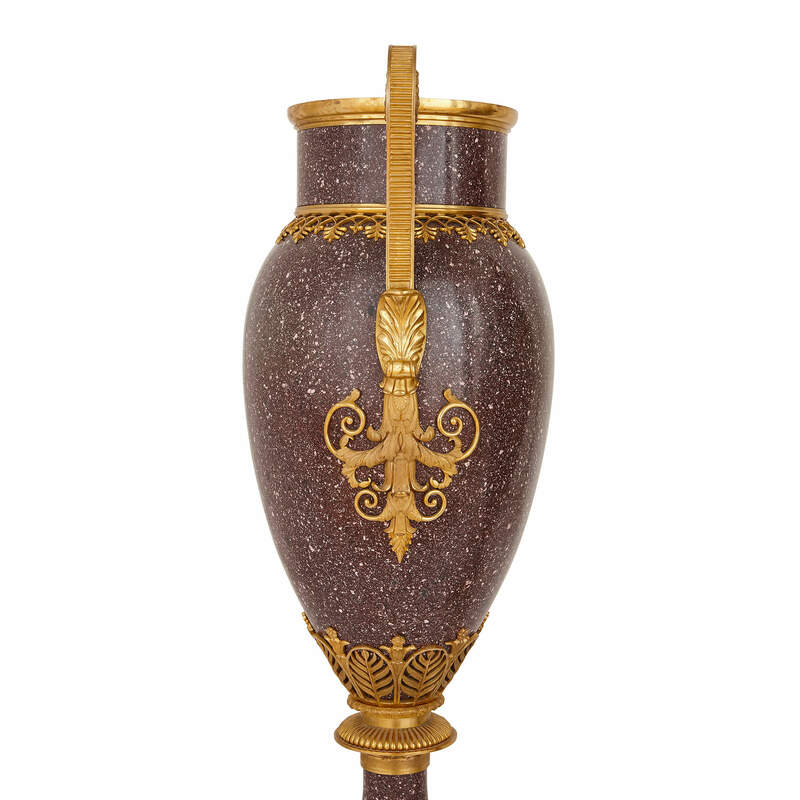 The porphyry bodies of each vase are mounted with ormolu scrolling handles, decorated with acanthus leaves and foliate scrolls. 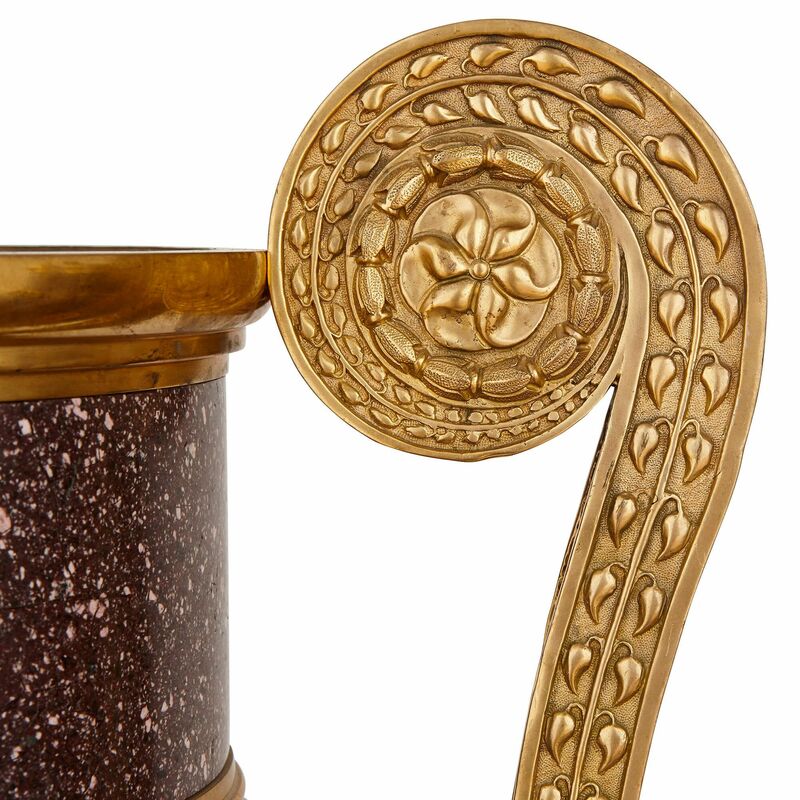 The base of each vase's body is mounted with ormolu palmettes, leading to a waisted porphyry socle, set onto a square ormolu base. 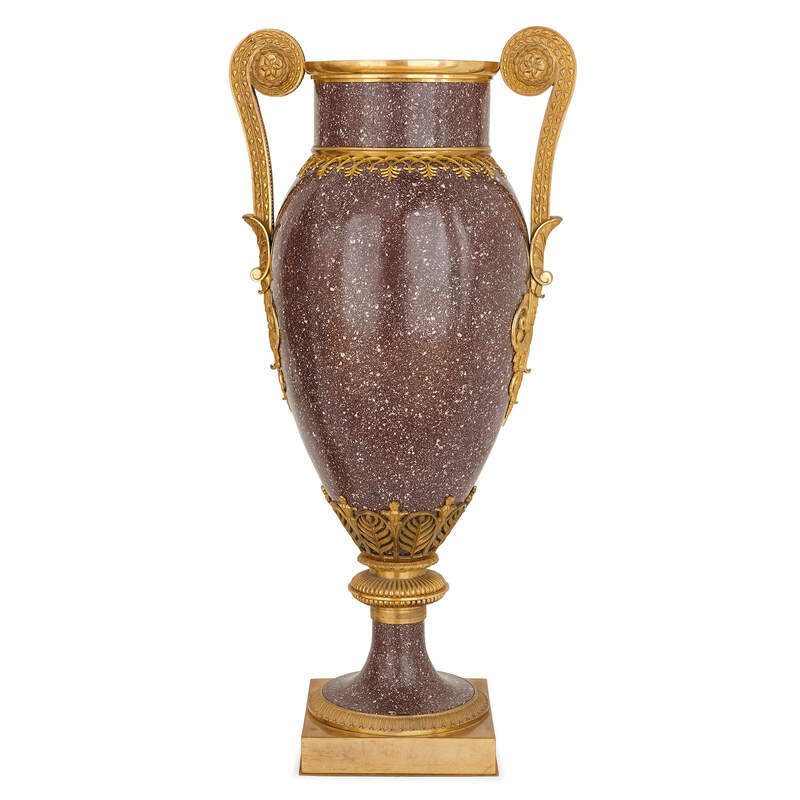 The unusually large vases, measuring just over one metre in height, are fine works that inspire a sense of awe and majesty.